Tacoma, WA. – April 14, 2011 – Sandra Smith, Sr. Vice President of Real Estate and Finance for the R.K. Getty Corp., announced a lease was signed for a christopher & banks outlet store at the Centralia Outlets. June 10, 2011 is targeted for the opening day of business. The store will have approximately 4000 square feet of retail space and will be located at 110 W. High Street, between Lane Bryant Outlet and Bath and Body Works Outlet. The Minneapolis-based specialty apparel retailer celebrates women of all sizes (missy, petite and plus sizes 14 and more) and proudly focuses on serving the clothing needs of today’s busy, fashion conscious 40 to 60 year old Baby Boomer women. christopher & banks provides exclusively designed collections that are classic, unique, casual and comfortable, all balanced with quality at an exceptional value. The collections allow for easy wardrobe building and outfit selections that can move from work wear to casual weekend wear. The outlet store will sell merchandise at prices that are at least 30% less than the prices charged at their full price stores. christopher & banks joins approximately thirty other tenants in the outlet center, including national brands Polo Ralph Lauren, Nike, Eddie Bauer, Van Heusen, Helly Hansen, and Easy Spirit, among others. Other new stores within the past few years include Coach, Bath and Bodyworks Outlet, Gymboree Outlet, Volcom and Aeropostale. 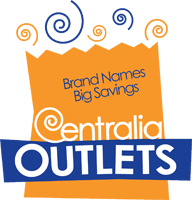 The Centralia Outlets opened in 1988, becoming the first outlet shopping center in the Pacific Northwest. It has long been recognized by travelers as a preferred stopping point on the trip between Seattle and Portland. The center completed a major renovation in 2008, which transformed the center to an upscale northwest look, enhancing the shopping experience for its customers.